Chelsea fans mostly seem pretty angry to hear of Callum Hudson-Odoi potentially heading for a transfer to Bayern Munich. 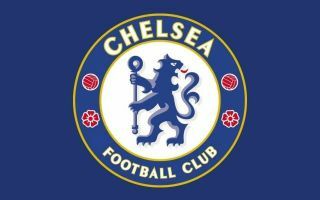 The exciting Blues youngster looks one of the brightest prospects coming through at Stamford Bridge at the moment and seems worthy of more first-team football. However, Sky Sports report of Bayern stepping up efforts to sign the teenager, with Chelsea not known for being the best club in terms of giving opportunities to young players. Bayern could be poised to take advantage, with other English youngsters performing well in the Bundesliga in recent times, most notably Jadon Sancho at Borussia Dortmund and Reiss Nelson at Hoffenheim on loan from Arsenal. You can’t blame CFC fans for being angry, however, with the club ignoring a number of top youth talent in recent years, with the likes of Mohamed Salah, Kevin De Bruyne and Romelu Lukaku all let go too young before going on to shine for their Premier League rivals. If we sell Hudson-Odoi there really is no hope for this club. £22.5M, too, what a joke. If @ChelseaFC sell Hudson-Odoi, then I’m done.